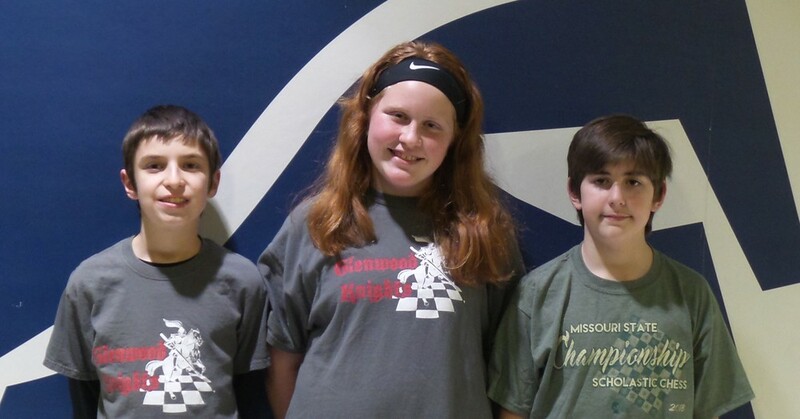 This is the 4th year in a row that the Glenwood Knights Chess Team has participated in the Missouri Scholastic Chess Tournament in Columbia, MO. The tournament was held at Battle High School and conducted by the Missouri Chess Association on March 17, 2018. We had three team members participate this year and we are very pleased with their performance in the tournament. No one medaled, but they all came out with over two wins each. This is a very tough six round tournament with the first game beginning at 10:30 a.m. and the last game beginning at 6:00 p.m. They are playing against some of the toughest players in the state and it can be mentally exhausting, yet they enjoy the game so much that they look forward to going back every year. I feel that this says volumes to their commitment to the game of Chess. Individual placements in the 6th grade division: (55 participants) Morgan Lee, 2 ½ wins placing 38th; Lauren Shipley, 3 wins placing 28th; Toby Keith, 3 wins placing 33rd. The team would like to encourage others to join the Chess Club next year. Known facts about playing chess: It improves your memory, improves your concentration, increases problem-solving skills and teaches planning and foresight, which can help you make better decisions in all areas of life. Congratulations to our Glenwood Knights Chess Team!